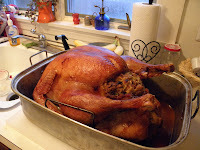 Healthy Loser Gal: Greater Boston Food Bank & Healthy Loser Gal Gobblers Team Up! Greater Boston Food Bank & Healthy Loser Gal Gobblers Team Up! There are so many who have less than they'd like you to believe. A Wall Street Journal study recently found that 50 percent of Americans don't have $2000 in savings for an emergency. I understand that struggle and know that many hard working families cannot manage to put together enough money to feed their families three nutritious meals each day and turn to the Greater Boston Food Bank for help. This Thanksgiving day I will not be hosting my regular Thanksgiving dinner at home... my son is off to his girlfriend's family's home, my 85 year old Mom has decided she doesn't want to travel or host dinner at her home and my sister and brother and families will not be traveling home to New England for Thanksgiving. 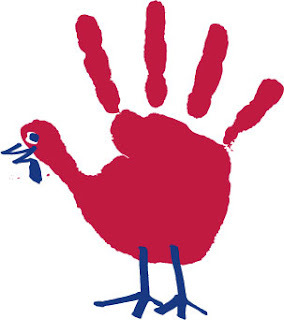 All of that said, I won't be cooking, so I thought of donating to the Food Bank and did a little research, finding out they are hosting their annual Turkey Drive for needy Boston area families in hopes of having 40,000 (!!!) turkeys donated by Thanksgiving day. Enter the HealthyLoserGal Gobblers team idea! I thought it would be great if we could join together and donate ten turkeys and sent out an announcement on Facebook and Twitter. Within a day (Monday), nine of the ten have been donated for $16 each by friends. That $16 will buy a turkey for a family of 4-6 for a nutritious holiday dinner. A small investment by each of us so we can wake up on Thanksgiving morning and know a family isn't going hungry on this day of thanks. I'm very thankful for all of you, my friends. You're generous, good people and I'm honored to call you friends! Thank you on behalf of all of us who use food banks and food pantries to feed ourselves and our families. You are just fabulous, and I am inspired by your commitment and dedication to being a more healthy better you.. You look amazing! I came across you on twitter via another follow of mine. I am just starting to use my twitter.. I am enjoying being a fitness blogger and meeting so many other amazing fit women and men. Debra, I'm so glad to meet you, too! I just checked out your blog quickly (I'll be going back) and am so in awe of you! Just WOW! Congrats on your achievements! I'm looking forward to going back to your site tonight and reading through your journey. Mahalo for your sweet reply Jan =) Well I am in awe of you and how amazing you look and your journey as well. You most definitely have my full support and a true fan here! I am truly inspired by others who have the drive and dedication to do what you have and are still doing. It is a different world when you are fit & healthy, as I am sure you have come to know and love it! Keep going girl & don't stop for anything.. I'm happy to be able to follow you and share your journey Jan. Kudos for your thoughtful efforts this Thanksgiving. Here's a little suggestion for six months from now: organize a similar project to aid food banks and pantries in the summer. So much donating is concentrated around the holidays that pantries experience a dry spell in the summer. Your blog could bring some much needed attention in the "off-season". Thanks!